The 49th Session of the Commission on Population and Development (CPD) was held at UNHQ in New York from 11-15 April 2016, under the Chairmanship of H.E. Ambassador Dr. Mwaba Patricia Kasese-Bota, the Permanent Representative of Zambia to the UN. The theme of the session was “Strengthening the demographic evidence base for the post-2015 development agenda”. On April 10th, the International Sexual and Reproductive Rights Caucus/ Choice for Youth and Sexuality hosted a Youth Caucus which gave the young people attending CPD a platform to network and share strategies. At this meeting, we quickly realized that we shared goals for this CPD. For example, the need for civil society organizations to continuously have access to and participate in UN meetings and their review processes; the urgency in having sexual and reproductive health and rights accessible to youth in all their diversity; and of course, the inclusion of meaningful youth participation at all levels of discussing, planning, implementing, and monitoring/ evaluating. Zooming in on the theme of the session, we agreed that the desegregation of data was key in order to measure and therefore respond to the needs of the population, for example, the need for data on girls 10-14 years old (watch the WYWCA CPD 49 oral statement delivered here ). To be more impactful, we separated into working groups with a focus on advocacy, plenary monitoring, communications, and language. Although we were all already working on these segments for our own organizations, it was good to sit together and focus on common tasks. My advice for young women who are new at participating in these big advocacy events is to make sure to read and take notes on the past sessions and the outcome documents, and familiarize yourself with the positions of both governments and civil society attending prior to attending the sessions. Also, do not be afraid to ask questions. Ask your peers, your bosses, panelists, and people from your government or regional delegation. Ask and if you don’t understand, ask again because the sessions are fast paced and loaded with coded languages so you have to be prepared to spot words that work for or against you quickly and to react even faster. The Youth Caucus also decided to do a Twitter campaign and visual takeover to get our messages across beyond side meetings with government delegations and civil society. We wanted youth around the world to be involved in the conversations. Our message was clear and simple: highlight #WhatYouthWant , #ThroughYouthEyes at #CPD49youth. As colleagues and youth from around the world joined us, we had tweets highlighting the theme of CPD49 on demographic data, but in majority youth tweeted for the need for comprehensive sexual education (CSE) and sexual and reproductive health and rights (SRHR) for all. Opposition soon tried to take over the hashtags but we quickly claimed it back. It’s important to remember that fighting for the rights of youth in all their diversity means also fighting for the rights of those who wholeheartedly disagree with you. Our campaign made an impact as UN offices, NGOs, and Governments, liked and retweeted our tweets. It gave us a sense of unity as feminist organizations from all over the world joined forces for one week to tweet their messages to the government delegations, civil society, and the general public. Although I was the only young woman from the Caribbean civil society, it was really powerful to meet young feminists from the Latin American region who worked in similar situations than those in my country, Haiti. Another advice for youth at international advocacy events: find likeminded people from your region, and/or who share similar struggles, you will feel less alone and your voices united could be more powerful. Finally, I conclude by saying that we youth do deserve to continue being part of international advocacy efforts as our voices and experiences are key for the success of all initiatives. So youth, when you attend these conferences, walk with your head high because you do deserve a seat at the table, but you are also here to learn, so do your homework and do not be afraid to ask questions. Your excellencies, Hon Ministers, Mme Phumzile and all other leaders in the room, and my fellow young people, I STAND before you as a 23-year-old young woman who is privileged and honoured to be given the opportunity to address you today. 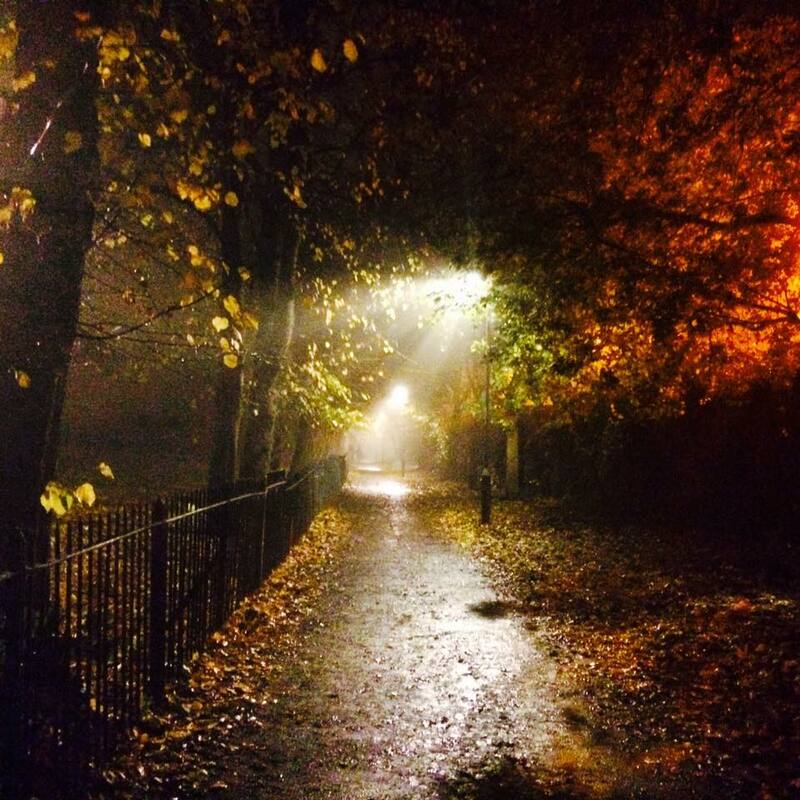 I am privileged to have had an education and grew up in a supportive environment. I work full time at my local YWCA in Canada yet I worry everyday about my future, and the future of all women around me. I worry that if I choose to have children one day, it will put me behind my male-counterparts in leadershi p positions. In Canada, women on average earn 72 cents for every dollar earned by men. As a developed country, known for freedom and progression, this worries me, as I continuously struggle to reconcile that freedom and the realities that I face as a young woman. I worry for marginalized communities, including seniors like my grandparents, immigrants like my family, youth transitioning out of foster care, single parents, and Indigenous peoples, who already face barriers, and need to work twice as hard to even earn equal pay. rld YWCA and UNWomen 3 days ago (Thank you Madam Phumzile for the support), I had the opportunity to listen and speak with many young women and youth from around the world, and understand issues they face surrounding gender inequality. It is sad to say that young women are marginalized in a progressive country like ours, Canada. Girls around the world are kept out of school and even in Canada we have gender inequality. We need affordable child care so that we, as young women have support when we want to return to the workforce. Decent Work and equal pay is necessary to sustain economic growth, through factors such as poverty alleviation, increased labour force participation, and quality education. We look forward to a future where both genders are equal, and everyone is paid the value they deserve. This is the first year I will be eligible to vote in a presidential election, and I’m conflicted. I, along with many young feminists, am torn between voting for Hillary Clinton or Bernie Sanders. Maybe it’s because I’m not constantly surrounded by media coverage of the elections; my friends aren’t questioning me about my political affiliation. I’m able to be slightly more objective, and after the Iowa and New Hampshire caucuses, I started paying more attention to media coverage of the Democratic race. In a way, it’s understandable why she would seemingly lose patience. Her attempts at gaining young voters, the same demographic that helped elect President Obama, have only resulted in driving away young adults. Sanders’ supporters, on the other hand, are campaigning for him on dating apps. He is the “cool grandpa” with crazy hair and socialist ideals, while she is seen as a strict grandma who is too involved with the political machine. However, her involvement in Washington D.C. politics – as First Lady, New York Senator and Secretary of State – also makes her highly qualified for the presidency. She has played up her age by discussing the joys of being a grandmother. These attributes have helped gain the support of older female voters who cannot seem to understand why young feminists would not vote for a female president. Part of the moral issue for young women is voting with their head or heart. Clinton’s long-term involvement on Capitol Hill has weighed her down in scandals ranging from her husband’s infidelity, where she was criticized for staying by his side, to sending government-related emails from a private server. But, she has also been criticized for years for having “cankles,” being too loud and wearing imperfect hairstyles, which makes it seem like part of the backlash is simply because she is a woman. Sanders is notably scandal-free and has refrained from using funding from a Super Political Action Committee. His promises of free healthcare, free higher education and accountability from government appeals to a generation mired in student loan debt and disillusioned about politics. This also seems to be part of the reason why Clinton’s outreach to young voters seems more like pandering. As a man, he is afforded certain privileges – his crazy hair and loud, unwielding behavior is seen as part of his charm. Whomever women choose to vote for, it should not be based on gender only and, more importantly, women shouldn’t be attacking each other based on this – tearing other women down isn’t good for anyone. It’s not very feminist to say that just because Sanders is a man, he can’t also be a good feminist. I, for one, would be pleased with either candidate – anyone is better than Trump. First time in the history of Tanzania we have women in the top government positions, Hon. Samia Suluhu Hassan who is the newly elected Vice President and Hon. Dr. Tulia Akson Mwansasu who is a newly elected Deputy Parliament Speaker of the United Republic of Tanzania. This is considered as an achievement after a long struggle to reach gender equality and balance in decision making organs. The Tanzania’s general election was conducted on 25th October 2015. It is the fifth (5th) election since the beginning of multiparty system in Tanzania. People were voting for the President, Members of Parliament and councillors. The fact that women are the majority of voters and play the important role in the general election as they have more power in choosing leaders who will advocate for their rights. This is supported by testimonies we got from various women and youth that “the courage shown by Hon. Anna Mghwira to compete with very powerful politicians for Presidency is admirable” Asha Mohamed a young woman from Dar es Salaam. “One day I want to run for presidency but I will start with running for Member of Parliament, because I want to show the world that women can do it all” said Jennifa Alphonce a young woman from Dar es Salaam. The number of women candidates’ has significantly increased over the past five years where by the last election in 2010 there were only 191 women candidates running to be members of parliament, but in 2015 the numbers have increased to 238 women candidates. The increase of numbers of women is due to the government reaffirming its commitment to the Convention on the Elimination of all forms of Discrimination Against Women (CEDAW) and the Beijing Platform for Action, following the Beijing conference. However, still there are barriers discouraging women to run for different categories in the elections. These challenges are limited funding to facilitate campaign process, cultural aspects where majority of women are not trusted by community members if they can be leaders, patriarchal systems and gender roles which sometimes limit women to participate fully in campaign process within our society, just to mention the few. It is a high time to call for positive support for women, so that more of them can run for different posts during the elections. YWCA of Tanzania through Enabling Economic Empowerment is advocating for women and youth to be proactive citizens and take charges of their own challenges to bring changes in their own communities. Through the project thirty two (32) youth where 18 were female and 14 male were trained to become internal observers during the general election on 25th of October 2015. Two young girls were trained by the Nation Election Committee (NEC) as trainers and later they trained their fellow youth to become internal observers. 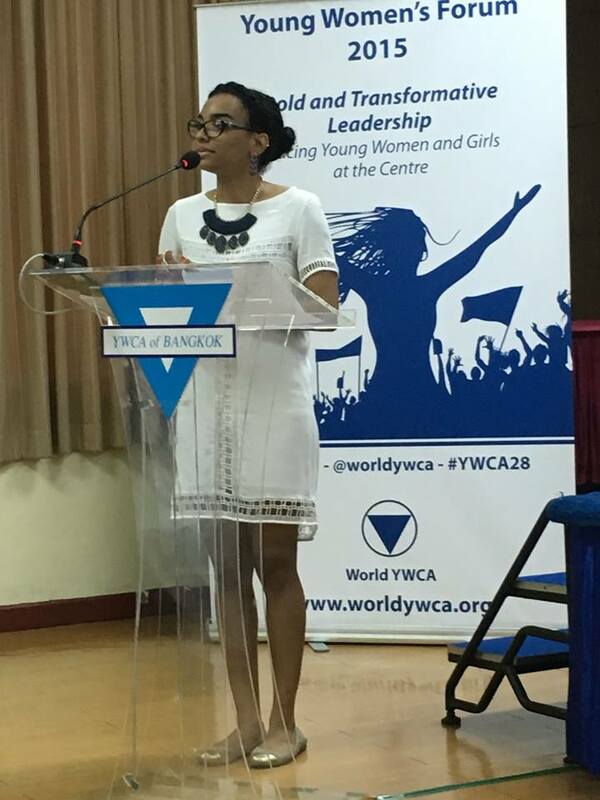 Le 28è me Conseil Mondial de la YWCA s’est tenu à Bangkok du 11 au 16 Octobre 2105. En prélude, les jeunes femmes ont eu leur propre Forum les 9 et 10. Durant le Conseil, Je n ‘ai pas pu m’empêcher d’être éblouie par la présence d’environ 500 femmes, jeunes femmes, et filles de plus de 70 pays; toutes faisant partie du même mouvement, œuvrant pour les droits et le bien-être des femmes et filles. Je fus remplie de ce sentiment d’appartenance et de solidarité extraordinaire. Nous avons sans doute bénéficié quotidiennement de conseils, d’astuces et d’outils pour améliorer et célébrer l’efficacité de nos YWCA et du mouvement mondial ! Pour un leadership intergénérationnel « audacieux et transformateur » il faut donner à chacune l’espace pour apprendre, faire des erreurs et en tirer des leçons. Renforcer la politique de la YWCA Mondiale qui stipule qu’au moins 25% du Conseil Administratif de chaque YWCA soit composée de jeunes femmes et que ce pourcentage soit aussi reflété dans le personnel, les volontaires, les membres et les bénéficiaires est clé. Pour que ce modèle, basé sur un mentorat à deux sens fonctionne, les femmes et jeunes femmes doivent travailler ensemble et apprendre les unes des autres en prônant le respect. Avant le Conseil Mondial j’avais été approchée par la YWCA Grande Bretagne pour participer à l’élaboration d’une “Résolution sur la Non-Discrimination”. J’ai répondu positivement. La YWCA Haiti a signé son appui. La YWCA est basée sur une fondation Chrétienne et sur les Droits Humains, ainsi, pour respecter les valeurs du mouvement, je pense qu’il faut soutenir toutes les femmes en toutes leurs diversités et éradiquer les politiques discriminatoires envers celles dont les expériences de vie sont différentes des nôtres. D’après moi -comme il l’a été si bien formulé au 28ème Conseil- c’est grâce au leadership intergénérationnel et aux politiques et pratiques non-discriminatoires que le mouvement YWCA pourra avancer, rester pertinent, et attirer les jeunes dynamiques. Ce n’est qu’alors que nous atteindrons la vision audacieuse et transformatrice d’avoir 100 millions de femmes, jeunes femmes, et filles impliquer dans notre mouvement d’ici les 20 prochaines années !